Chances are you’ve never given your jaw a second thought. An essential joint for eating and speaking, things seldom go wrong, but when they do, your jaw can produce pain that severely impacts daily life. 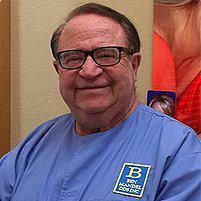 Dr. Ben Mandel located in La Mesa, California, and serving the El Cajon and Spring Valley areas, treats temporomandibular joint disorders nonsurgically, as he has for over 35 years. If you’re experiencing jaw discomfort, call or click to make an appointment today. When the temporomandibular joint -- abbreviated TMJ -- has problems with movement, including dislocation or pain due to inflammation, these conditions are called temporomandibular joint disorders. You have a TMJ on each side of your face, where the lower jaw rotates to create the motions needed for talking and eating. TMJ disorder typically occurs when some form of irritation causes inflammation in one or both joints. This irritation has any number of sources, from a trauma to the head such as whiplash, for example, or even something like a minor misalignment of your bite, which may be due to crooked or missing teeth. The TMJ is a sliding hinge joint. The bones of the joint are covered in cartilage with a small disk that acts as a cushion between the bones. If the disk moves out of position or wears down over time, it may cause TMJ disorder. The same holds true if arthritis breaks down the cartilage around the joint. TMJ disorder creates a wide range of symptoms, many of which may not seem connected to the movement of your jaw. The most common sign may be tenderness, discomfort, or pain in or around the TMJ, on one side or both. You may have difficulty chewing or more general facial aching. Your jaw may lock, or you may feel and hear a clicking sound as it moves through normal motion. Because of the proximity between the TMJ and your ear, you may experience symptoms that you might associate more with inner problems, such as dizziness, nausea, ringing in your ears, or balance and coordination issues. TMJ disorder may make you feel as though you have a permanent lump in your throat, and it may be the reason behind head and neck aches. In extreme cases, surgery may be required, though this is comparatively rare, and in fact, many cases of TMJ disorder resolve themselves spontaneously. Dr. Mandel has several more conservative treatments with which he’s had long-term success. The most effective treatment depends on your particular situation. It may include using orthodontics, crowns, or other dental appliances. Dr. Mandel is a specialist treating disorders of the temporomandibular joint, so after a thorough interview and exam, he determines the best treatment for your needs.